MONROE, Wash. (Aug. 13 2017) - Chris Eggleston's championship charge is underway. The 28-year-old from Erie, Colorado, dominated Saturday evening's NAPA Auto Parts 150 presented by Toyota at Evergreen Speedway for his fourth win of the season. Coupled with teammate Todd Gilliland's off night -- he finished eighth after a late flat tire put him a lap down -- Eggleston closed back to within six points with four races remaining. Eggleston's No. 99 NAPA Filters Toyota held off Will Rodgers on an overtime finish that pushed the race to 154 laps. The extra distance didn't phase Eggleston - he led every lap. Nicole Behar finished third, followed by Michael Self and Tayler Riddle. Rodgers was coming off his first career K&N Pro Series win at Watkins Glen International last week, while Riddle, the 2016 Summer Showdown winner in the super late model showcase at Evergreen, was making his series debut. Evergreen was the ninth career series win for Eggleston, and came at a track where he finished third in 2015 and second last year. It was the third race of the season Eggleston won after earning the Coors Light Pole Award earlier in the day. Julia Landauer finished sixth, followed by Matt Levin, Gilliland, Todd Souza and Ron Norman. The NASCAR K&N Pro Series West is back on track at Douglas County Speedway in Roseburg, Oregon, on Saturday, Aug. 26 before finishing up with three races between Sept. 30 and the Nov. 4 finale at Kern County Raceway Park in Bakersfield, Calif. 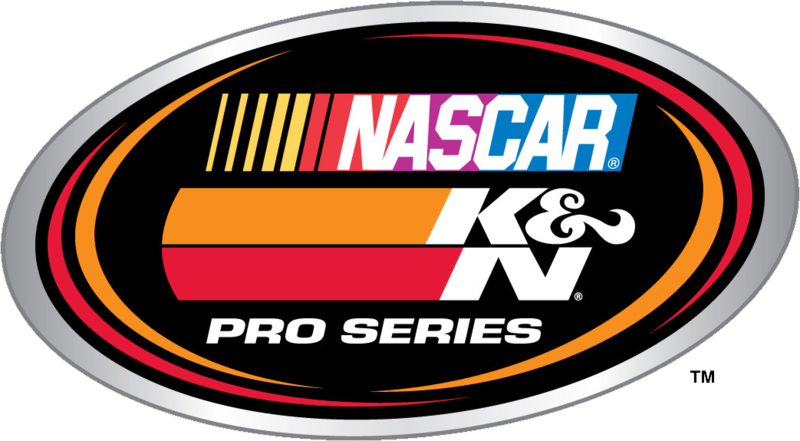 The NAPA Auto Parts 150 presented by Toyota will air on NBCSN on Thursday, Aug. 17 at 1 p.m. ET. 1. (1) Chris Eggleston, Erie, Colo., Toyota, 154 laps, 75.177 mph. 2. (4) Will Rodgers, Solvang, Calif., Ford, 154. 3. (5) Nicole Behar, Spokane, WA, Toyota, 154. 4. (8) Michael Self, Park City, UT, Ford, 154. 5. (2) Taylor Riddle, Naches, WA, Ford, 154. 6. (18) Julia Landauer, New York, N.Y., Ford, 154. 7. (10) Matt Levin, Tucson, Ariz., Chevrolet, 154. 8. (9) Todd Gilliland, Sherrils Ford, N.C., Toyota, 153. 9. (11) Todd Souza, Aromas, Calif., Toyota, 153. 10. (7) Ron Norman, Tucson, Ariz., Chevrolet, 153. 11. (15) Stafford Smith, Eagle, Idaho., Ford, 153. 12. (3) Derek Kraus, Stratford, Wis., Toyota, 153. 13. (6) Kody Vanderwal, LaSalle, Colo, Ford, 151. 14. (13) Andrew Engberson, Copper Danyon, TX, Ford, 151. 15. (16) John Wood, Eagle, ID, Chevrolet, 146. 16. (12) Blaine Perkins, Bakersfield, Calif., Chevrolet, 142, engine. 17. (17) Jesse Iwuji, Carrolton, Texas, Toyota, 117, oil leak. 18. (14) Takuma Koga, Nagoya, Japan, Chevrolet, 67, suspension. 19. (19) Rudy Vanderwal, LaSalle, Colo, Chevrolet, 6, mechanical. Caution Flags: 4 for 13 laps. Lap Leaders: C. Eggleston 1-154. 364; 5. M. Self, 350; 6. T. Souza, 327; 7. J. Landauer, 322; 8. M. Levin, 320; 9. N.
Behar, 316; 10. K. Vanderwal, 313.